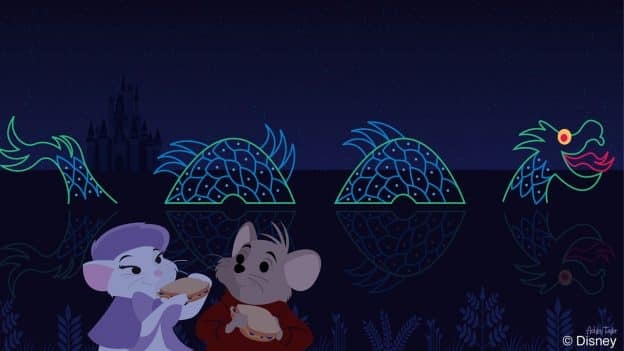 This month, our Disney Doodles series continues to take on a “couples” theme, with today’s doodle looking at what Bernard and Bianca from the 1977 film “The Rescuers” would do if they had a chance to visit Magic Kingdom Park. According to her, they’d be up for a guest-favorite nighttime offering. Magic Kingdom used to have a nighttime parade. Are they going to get one soon?